Listen to “No Frills and No Tills” Podcast here. While the rest of the world was watching a flying DeLorean, humming along with a material girl and marveling at a man taking flight on a basketball court, Fritz Durst focused his attention on the ground. It was 1985 and Back to the Future was a box office smash, Madonna was leading a musical revolution and Michael “Air” Jordan was taking the NBA to new heights. Despite all the flashing fluorescence of this new material world, Durst had other things on his mind. He didn’t grow up idolizing pop culture figures. His heroes were out in the fields, muddied to the knees by sunrise. “From a young age, I felt a strong tie to our family farm. It is a place that was special to me as far back as I can remember,” said Durst, who leads Tule Farms into its sixth generation. By the time he was five years old, Durst was a merely an extension of his father Oscar’s shadow. Many times you’d find the younger Durst following his father up and down the steps of his tractor. As a child, Fritz wasn’t aware of the degree to which his father had struggled toward making their land productive. In one of the most fertile landscapes in the world, his crops remained defiant. 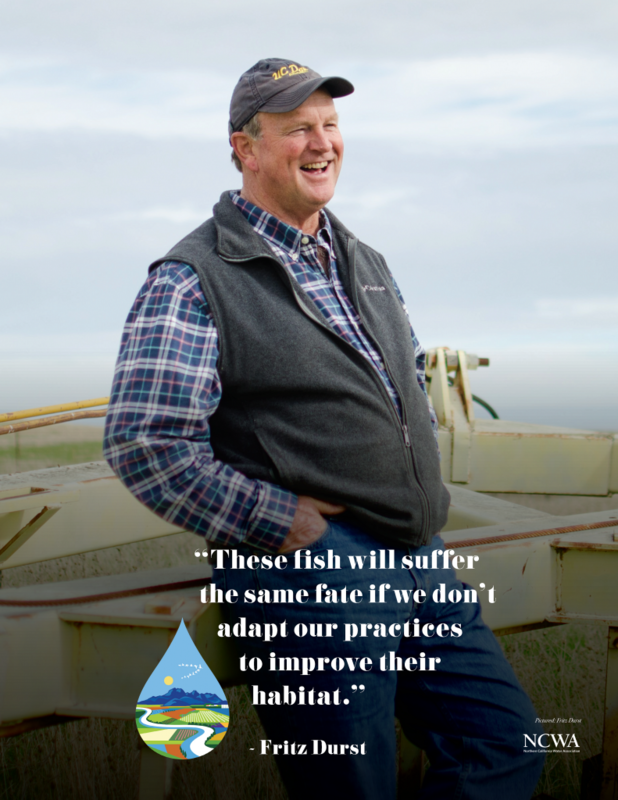 After earning his degree from nearby UC Davis, Durst returned to the farm in the mid-1980s with a new perspective on the problems before them. When the winter months passed, trenches as deep as grave sites stretched hundreds of yards in the fields. “6 feet deep is where our farm will be if we don’t do something to rejuvenate the soil,” thought Durst at the time. Bucking the trend of traditional farming practices, the Dursts left the tractor tiller in the shed. A standard piece of machinery for farmers, but Fritz knew there wouldn’t be any soil left if they continued farming by the usual standards. This was a revolutionary idea at the time, but Fritz believed there had been too much focus on the crop and not enough attention to what lie beneath it. And that it did. The rains no longer washed the loose soil away and Fritz’s farm never resembled a mass grave site again. Since that day, Fritz is not only seeing his soil produce high-quality crops but the soil is also holding more moisture throughout the year. That has led to far less watering and in the case of dry farmed fields, higher yields. The unforeseen gift has inspired this Yolo County farmer to review his entire farming operations. Today, Tule Farms in the Dinnigan Hills is more than rows of wheat, wine grapes and sunflowers. The land also serves as a home for several endangered species and numerous other forms of wildlife. The Yolo County farm is now home to animals and reptiles such as garter snakes, longhorn Elderberry beetles, Swainson’s Hawk, bald eagles and even Kangaroo rats. 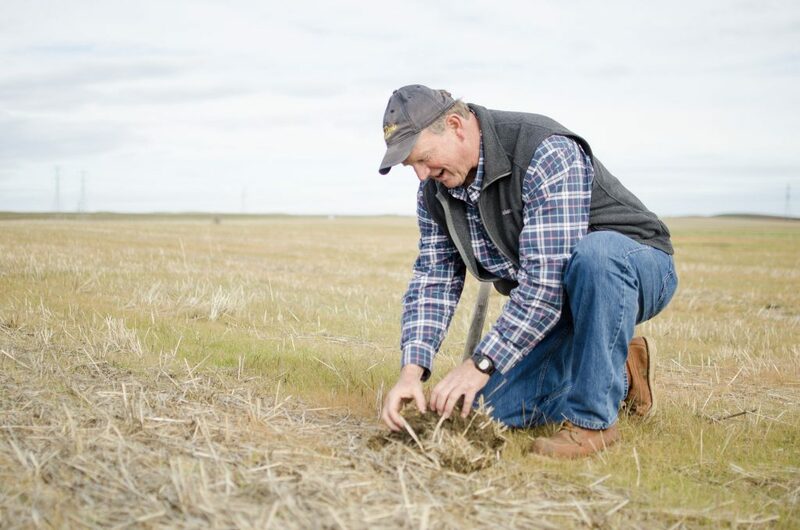 “It all started by peering a bit deeper into the ground,” Durst said. The Durst family name has since become synonymous with conservation. Not only does the family seek sustainable methods for crops but also for ways to help birds, fish and reptiles. While it may have all started by looking down, today, Fritz is setting his sights beyond his family’s farm. 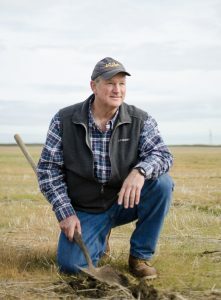 He has joined a team of other farmers in the Sacramento Valley to use their farm fields and water to help California’s native species. From birds overhead to fish underwater, Durst is lending a hand in the effort to maintain bird refuges, increase critical reptile habitat and feed more fish. Times have surely changed since the 1980s – Back to the Future has been replaced with Wonder Woman, Madonna with Lady Gaga and Michael Jordan with LeBron James, but farmers like Fritz are still keeping at it, even if they’re no longer keeping their head down. Fritz is looking in a few more places, trying to uncover what other parts of the valley may need his attention.